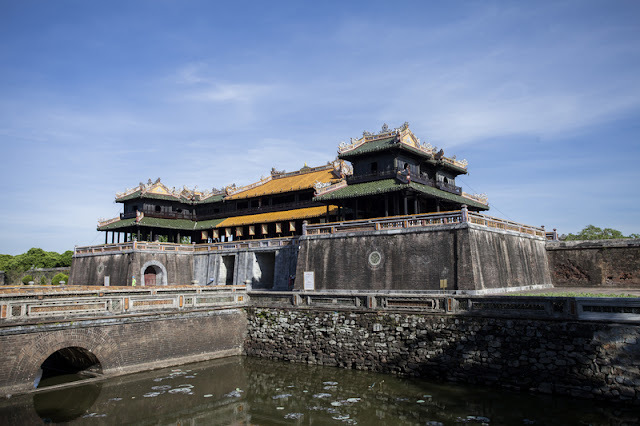 Hue - ancient capital of Vietnam - still preserved the tombs, temples and many garden house are several hundred years old. Not only that, coming to Hue you will enjoy delicious food famous. You are planning to visit Hue, here are some interesting experiences in Hue that you can refer. For airplane: Daily Phu Bai Airport has flights from Ho Chi Minh City and Hanoi to Hue. Rail: The train line from TP. Ho Chi Minh City and Hanoi all come to Hue. Take the train but take a long time but you can enjoy beautiful scenery on the road. Or passenger car simple and cheap. However, you will have to spend one day to move from Hanoi / Sai Gon to Hue. Transportation in the inner city of Hue: You can rent a motorbike for 100-200.000 VND per day to facilitate sightseeing, besides, when visiting the Citadel you should take a cyclo to feel the scenery simple and rustic. 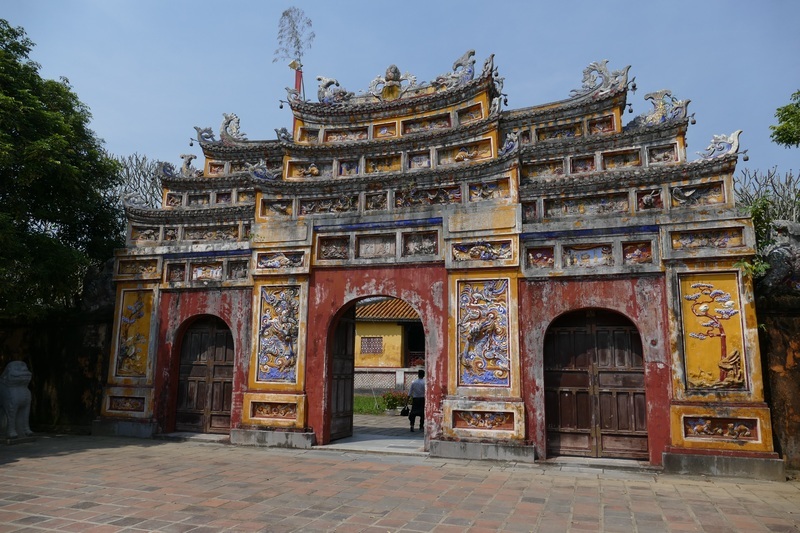 Hue is famous for the mausoleum, pagoda. The tombs in Hue are often away from the city so if you want to visit the car or taxi to visit Minh Mang Tomb, Tu Duc Tomb, Khai Dinh to the Citizen cyclo is very interesting. If you want to bathing beach you should go to Lang Co beach about 80km away from Hue, on the way to Lang Co has two very beautiful places that is Vung Voi and Canh Van Beach. Vung Voi beach is clear and watery and the Canh Van beach is shallow but very clean and beautiful, the sea is shaped like a bow. Enjoy the romantic can be up the Thien An pine hill, very much like a part of Dalat. In addition, you can go to Thanh Tan hot spring, about 20 km from Hue, bathing sulfur stream in Tan An. There are two locations far from Hue, Bach Ma National Park about 40 km, where the French officials in the past resort, high in the middle of the mountain, cloud days are hard to reach the top. 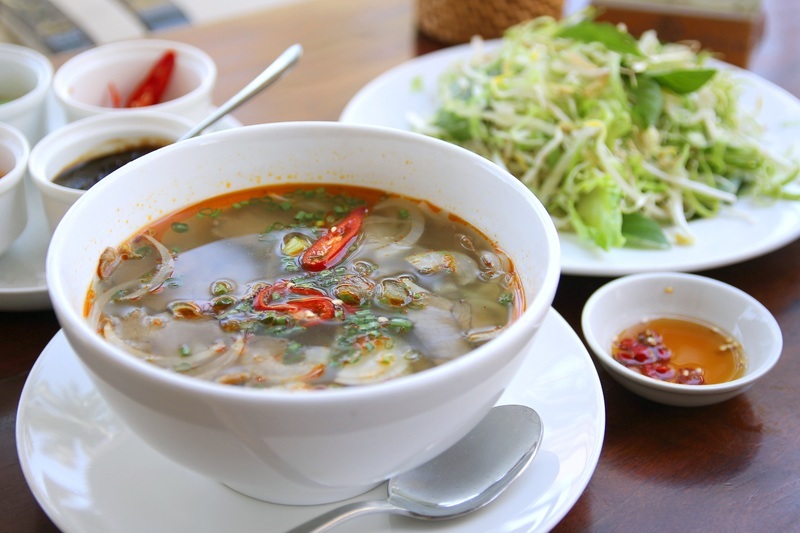 The food in Hue is often spicy, so if you do not eat spicy, you must prepare food to bring. Mussel rice: Hue specialty is often sold outside the restaurant or street vendors in Hue, this is strange food and very cheap price, a bowl of porridge mussels for only 7000 dong. Hue beef noodle soup with Hue flavor, with white noodles floating on the top is the meat, along with sausage basil with lemon, chili sauce, spicy hot vegetable is very attractive. Hue Banh Beo is a dish with bold flavors forget, Hue people often make dough cake at the side meals. Va Hue is the folk food of the people here. Va fruit is sweet, can be eaten with vermicelli, beef or beef dipped with vinegar, ware together with meat, fish ... are very good. Or Banh Khoai a meal is made of grated rice flour with egg yolks and water with spices, shrimp, beef, sliced ​​small slices served with live bean sprouts are great. In Hue city, fashion shops, souvenir shops, galleries, fine art studios ... are concentrated in some big streets such as Tran Hung Dao, Hung Vuong, Phan Dang Luu, Le Loi, Mai Thuc Loan ... To visit Hue, you can visit the shops, shops to buy something needed for yourself or as gifts to friends. Guests also enjoy the products of the traditional villages such as Hue hat, the objects, bronze statues, wooden carvings ... and art souvenirs. Come to Hue can not forget the folk festivals here. The festival in Hue is very elaborate, so that visitors enjoy the cultural products of this place. There are still Cham people with Indian culture, later Western culture also have the opportunity to penetrate from the Nguyen lords. The traditional festivals are maintained, developed also from that cultural source so that Hue tourism is always the first choice for tourists. 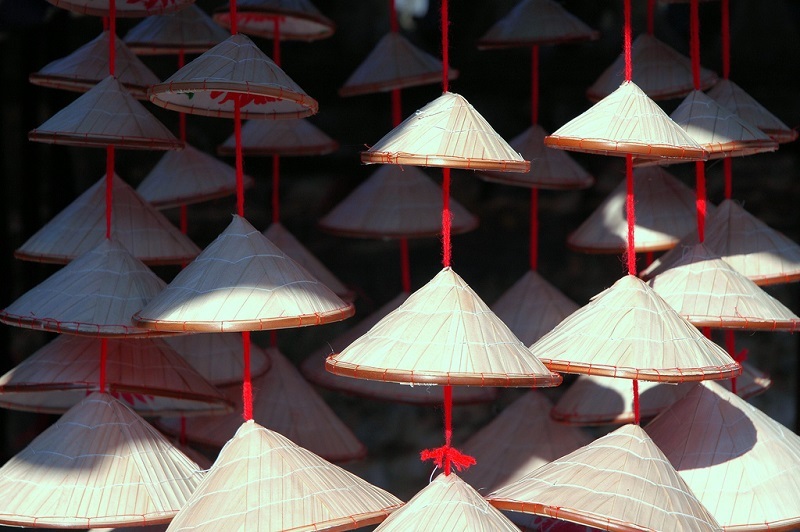 The festival in Thua Thien Hue is not as rich as the North, but it is also quite diverse. It attracts tourists to Hue. There are two types of festivals: royal ceremonies and folk festivals. The royal festival reflects the ritual activities of the Nguyen Dynasty, folk festivals of various kinds are very attractive to tourists. In addition, according to the experience of Hue tourism during the holidays, Hue also many activities of cultural activities such as boat racing, tug, wrestling ... also organized and attracted a large audience. Few know that in this peaceful land there are 88 traditional villages, including 69 craft villages with a large number of skilled craftsmen, talented. A number of traditional craft villages and trade villages still thrive today, providing products for the society and creating unique tours for Hue. One of the tourist attractions in Hue is Lang Sinh paper painting, Phu Mau commune, Phu Vang district. The village's paintings appeared about 400 years ago, famous throughout Hue and surrounding areas. Together with Lang Sanh paintings, Thanh Tien craft village has contributed greatly to preserving the spiritual culture of Hue people. 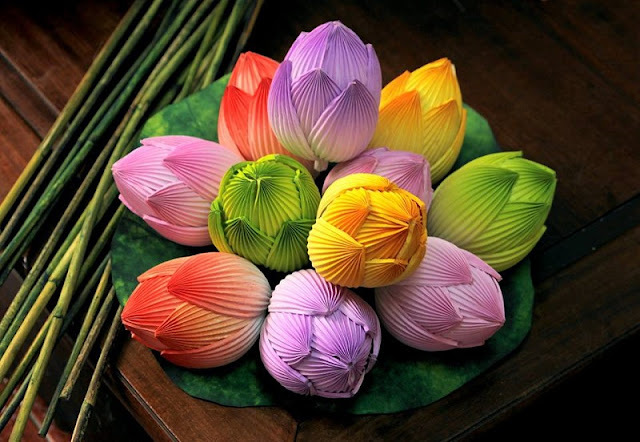 The flower is made the most and the same as the lotus flower, has long been known near. 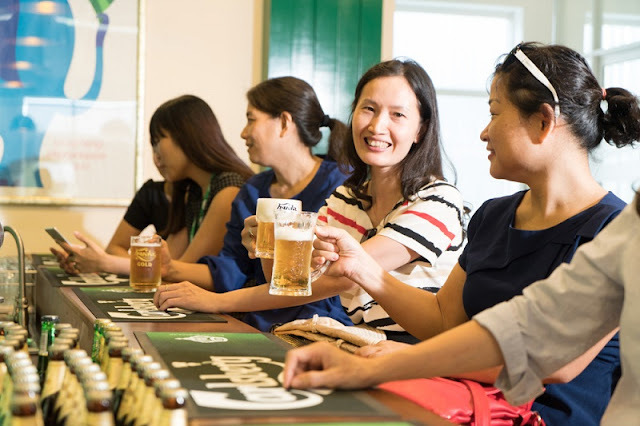 Huda - Carlsberg Brewery Tour has been launched since October 2015 is considered one of the unique experience for visitors when visiting Hue. Visit the brewery, visitors will have the opportunity to learn the brewing process of international standards have a history of 168 years of famous beer brands and enjoy fresh beer at the factory with 14 incense different taste. The fresh brewed beer with golden wave, cool taste, sweet, charming will be an unforgettable experience when coming to this beautiful land of Central Vietnam. When it comes to vegetarianism, it can not fail to mention Hue, where the most vegetarian dishes, even vegetarian cooking in Hue has become an art and become a feature of Hue tourism, the capital of Hue The vegetarianism also began to spread in Hue during the aristocracy at that time. If you have the opportunity to travel to Hue on the holidays you will enjoy vegetarian dishes made to Buddhist temple to meet the four blessing. Hue people have traditions of vegetarian food to make their souls pure, more polished. 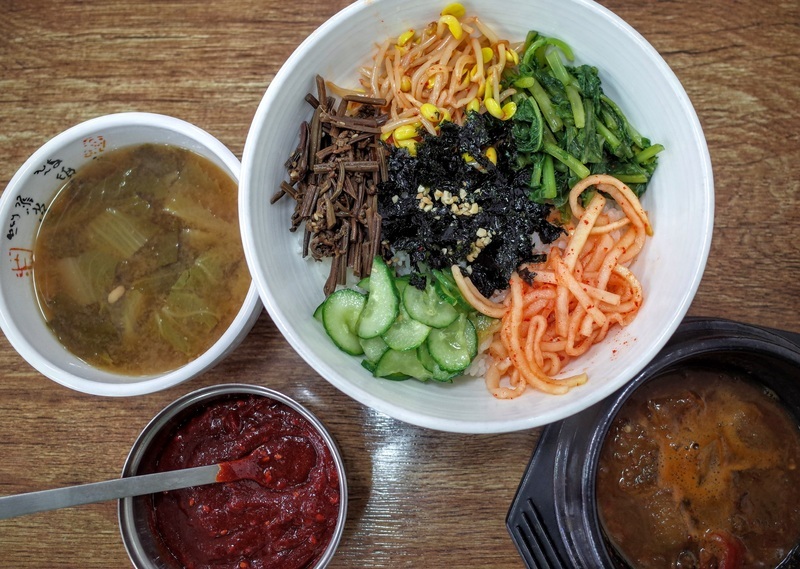 According to the Hue travel experience, Hue people are not only vegetarian on the full moon day, the first day or the feast that they eat vegetarian as a daily routine. Hue tourists are often expressed Hue love and sincerity by the simple vegetarian meals but unique in Hue only.